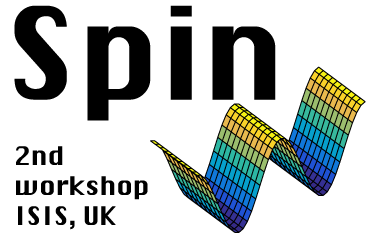 We are happy to announce the second workshop on Horace and SpinW at ISIS in Didcot, UK. The 5 days workshop will be split into two parts, with 2 days course on Horace followed by 2.5 days on SpinW. Participants may attend either or both of the two workshops. The courses will therefore cover all aspects of SpinW (introduction to magnetic structures and linear spin wave theory, handling complex magnetic structures, symmetry analysis, fitting inelastic neutron scattering data, etc. ); and Horace (planning an experiment, data visualisation and corrections, simulations, fitting, and more). The course will be run at the ISIS neutron source, Rutherford Appleton Laboratory, Didcot, UK from Monday 30thJanuary to Friday 3rd February 2017 and is free to attend. For further information and registration please visit https://www.psi.ch/spinw/ws2017 or http://horace.isis.rl.ac.uk/Horace_Workshop. Please note that registration closes at 12:00 GMT on Friday 23rd December, with participants’ places confirmed shortly after.